Jamu Spa School Bali is located in Tuban, only a few minutes away from the airport and the centre of Kuta. 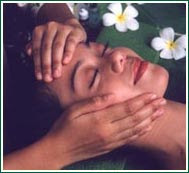 Jamu Spa School Bali is an affiliate of Jamu Traditional Spa Company, which is the pioneer of the Spa School in Bali. The name "Jamu" refers to the old Indonesian heritage of elixirs and remedies for health and beauty that has been passed down through generations of Indonesian women. It is these rejuvenation and beauty secrets that are taught in our professional courses. All the products we use are natural and made from fresh local ingredients. Jamu Spa School Bali is operated by spa professionals with many years of experience and provides professional spa training and certificates for every graduate. Designed for the novice or the professional therapist, our experienced team of trainers will guide you through the steps of traditional treatments and massage therapies. Jamu Spa School Bali provides training courses from 1 week up to 3 months, which give you knowledge and experience to work successfully in spas in hotels and resorts worldwide. Our school is fully equipped with 5 treatment rooms with AC/fan, changing rooms with lockers and a small café that serves lunch and refreshments. and our natural Facial from fresh local ingredients. JAMU Traditional Spa at AlamKulKul is set within a beautiful facility with the Balinese Village theme of the resort. Jamu Spas offer authentic health and beauty treatments from the islands of Bali and Java, using only the finest ingredients freshly-prepared according to the age-old tradition of Jamu. Jamu Traditional Spa's beautifying and healing treatments are renowned for their authentic nature. Based on century-old recipes handed down from mother to daughter over generations, these recipes are now available to you at JAMU. Intimate and cozy, infusing elements of the natural environment, JAMU's spas create healing sanctuaries for body, mind and spirit. Soft music and soothing aromas greet guests as they succumb to the caring hands of the JAMU therapists. Each treatment has a unique, freshly prepared menu made from locally produced herbs, fruits, flowers, roots, spices, honey and high quality essential oils for therapeutic benefits. JAMU's 100% pure and natural spa products are uniquely designed and hand-made exclusively for each spa. Bring them home to recreate your own private spa experience or as gifts for loved ones. JAMU Traditional Spa at AlamKulKul is set within a beautiful facility with the Balinese Village theme of the resort. Jamu Spas offer authentic health and beauty treatments from the islands of Bali and Java, using only the finest ingredients freshly-prepared according to the age-old tradition of Jamu. Jamu Traditional Spa's beautifying and healing treatments are renowned for their authentic nature. Based on century-old recipes handed down from mother to daughter over generations, these recipes are now available to you at JAMU. Intimate and cozy, infusing elements of the natural environment, JAMU's spas create healing sanctuaries for body, mind and spirit. Soft music and soothing aromas greet guests as they succumb to the caring hands of the JAMU therapists. Bali Ratu Spa a unique place for relaxation. RATU"is the meaning of queen in Balinese. Try the taste of natural traditional Balinese treatment. If you spend the elegant and luxurious time like a queen, your heart & body will be healed. Bali Ratu Spa Care About Your Healty. First enjoy a foot bath followed with a short foot massage, scrub the feet and wash. Body steam, then enjoy the relaxing massage movement using chices of fragrance massage oil which bring complete harmony through your entire body. This treatment will also smoothen your skin and finished with a hot shower, ginger tea will be served. First foot bath, body steam, then the relaxing massage over your body with choices of fragrance aroma massage oil. Then we treat your body with a body scrub of rice powder blend with spices, followed by polishing your body with milk. Finally immerse yourself in a relaxing bath with flower. Our Aromatic products are all made from natural ingredients, which are exclusive to Martha Tilaar combining healing herbal properties and professional therapeutic services, which together create a new paradise of beautiful body treatments like, Hair-Body-Hand-Foot care, Make Up & Spa-bringing you a new sense of rejuvenation & well-being. A harmonized synergy based on traditional, the chinese, Egyptian, and european techniques massage to involving even steps of stroking kneading and pressing the soft tissues of the entire body. A perfect way to rejuvenate tired muscles and relax the mind. Enjoy the herbal tea while relaxing in sootihng bath of fresh flowers, honey and aromatic oil. A glorious treatment transcend the mind and emotion. Enjoy the mystical power of frankincense, rose and sandalwood and enlighten your inner beauty. The treatment begins with an aromatic sauna, choice of aromatic body scrubs, a mineral or milk bath, completed with an aromatic body massage and scalp massage. The ancient form of message is based on the natural properties of essential oils Nusa Dua Spa's specially blended oils for relaxation and circulation, used during a Swedish massage are the perfect way to rejuvenate tired muscles and relax the mind. Immerse yourself and relax in style with a healing session at the Pita Maha Private Villa Spa, the centre- piece of the resort. The lavishly appointed Private Villa Spa offers a new completeness in health treatments, the total relaxation of body and mind in the most exquisite surrounding. Anika Spa offers a complete range of body treatments for stress reduction and restoring health and beauty, and is a total retreat in the name of wellbeing. Anika Spa is dedicated to travelers, busy professionals or couples who seek a retreat where they can rejuvenate both body and soul. "RATU" is the meaning of Queen in Balinese. Try the taste of natural traditional Balinese treatment. It will healed the heart and body, and spend the elegant and luxurious . Despite the unique designs, gives priority to the results and techniques of the 11 different sea water based spa treatments which are originated from France. Ubud Sari is a health resort where people enhance their physical, emotional and spiritual life through the resources and skills of a highly trained staff in a quiet. Aston Bali's Biwana Spa is the ideal place for relaxation and rejuvenation. The Spa manager is only to pleased to assist you in creating a memorable day. A wide variety of treatments are available, from Body Scrubs with coconut or herbs to Body Treatments with traditional message under a Balinese Bale are just some of delightful choices offered. Nirwana Spa specializes in water and seaweed treat- ments, which have a strong purifying effect on mind and body. At Le Meridien Nirwana Golf & Spa Resort, the breathtaking vistas and natural ambience make this resort unlike any other in Bali. The sight from the hotel's lobby takes in the crashing surf and rice terraces which form a stunning backdrop. Indulge in an array of exotic Indonesian and Western body treatments and massage in the privacy and comfort of the new Frangipani Spa and health club.Profesionnaly run by "windys Program" leading Spa operator. Following is a selection of the indulgent treatment available in the Spa. Creates a felling of well being and new energy by applying Indonesian traditional spice oil followed by a deep therapeutic tissue massage using paim pressure combined with firm long strokes.Have fun in the sun on one of the most beautiful expanses of golden sand imaginable. Free your mind and body in the healing powers of the sea. The world's most powerful life source holds the key to health, beauty and relaxation. The intrinsic link between you and sea, forms the basis of this life giving treatment. The Sunset Beach Spa is the only spa in Bali which is located on the beach. All our treatments rooms overlook the ocean and feature large open windows that perfectly capture the beautifull Balinese sunsets and cool sea breezes. The Spa, run by the internationally - known Mandara Spa, adds an extra touch of Paradise for those seeking to restore and rejuvenate the body, mind and spirit. Each spa treatments are presented in the quiet indoor treatment rooms or tranquil open - air garden villas. Jamu is the Indonesian name for generic, natural healing treatments used both internally as tonics or externally as beauty and healing treatments. All our treatments are made fresh daily in our cosmetic kitchen using pure flowers, leaves, spices and herbs. The highlight of this facility is featuring the ultimate in indulgence and relaxation for two persons with privacy and enjoyment in mind. It offers separate massage rooms where both, body scrubs and full body massages take place, which are followed by an invigorating shower with jetstreams, before sinking into a romantic jacuzzi bath scented with herbal oils for your intimate bathing pleasure. Add to this a collagen velvet eye mask after with you can enjoy fruits, refreshment and listening to soothing music or for you viewing pleasure watch television whilst reclining on the Bale Banjar bed, and your experience is complete. Close your eyes and imagine splashing Water fountains, colorful light in a tropical garden and the scent of lotus and frangipani flowers floating on warm. air. This is not a dream; this magical atmosphere awaits you in the Parwathi Spa. Enjoy the calming influence of traditional. Balinese arts pictured in a botanical paradise, resembling an ancient royal palace. A promise of Bali, pure relaxation and the joyful charm of the natives are set into reality. Unique treatments were created for two therapists working together in total harmony. Feel this sensual experience and let the spirit flow - wellness for body and soul. PARWATHI’S SPA exclusively designed Sthira and Sukha massages and treatments mirror the idea of unity attained through eternal duality - relaxing and rejuvenating. The Sthira Massage is a revitalizing treatment, designed to alleviate stress and mental fatigue by relaising blocked energy from the muscles and connective tissue, and redirecting its flow throughout the body to rebalance and reenergize it while calming and clearing the Mind. The Sukha Massage is luxuriously relaxing, designed to ease all tension through the use of long, rhythmic movements that open, balance and calm the body’s sublte energy centers, while comforting and stilling the mind, creating a lasting feeling of deep peace and tranquility. In addition to our classic SPA treatments we can offer you an unique balinese wellness experience you will never forget: The Bali Massage is handes down through the generations and it is a very soft and relaxing massage from head to toe. Enjoy this calming effect on your body with the sounds of the ocean at the beach pavilion. The different types of Massages are the final luxuries in a matching, supporting treatment sequence designed to cleanse, purify and rebalance the body and mind. The body scrubs and body masks will be created with pure essential oils, to allow them to use their healing aroma therapy in combination with the body treatment. Step back in time, imagine and feel how the Brahmana cast celebrated their wedding preparation with ultimate body treatments and rituals. The ultimate indulgence begins with a deluxe Sthira of Suhka treatment. Enjoying a glass of Champagne the ritual will take place. Live like the Balinese royal, a private waiter will serve a ten course gala dinner surrounded by the sound of splashing water in the pavilion. The total privacy of the SPA invites to spend the night in the Bali Sari, a king’s bed, open to all sides. A warm night breeze will let you fall a sleep gently.